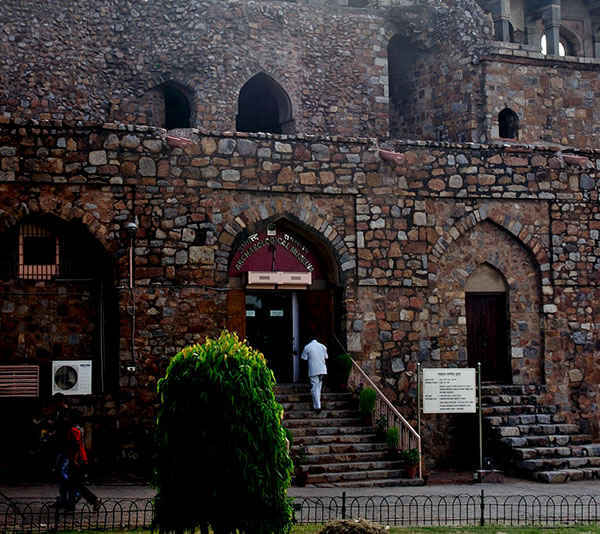 Purana Qila or Old Fort is one of the most important heritage complexes of Delhi. While it’s less talked about as compared to other complexes, it does live up to its name by offering evidences of not only its medieval past but also of times long forgotten and obliterated. Many excavations out here and elsewhere in Delhi have found artefacts from the prehistoric times. 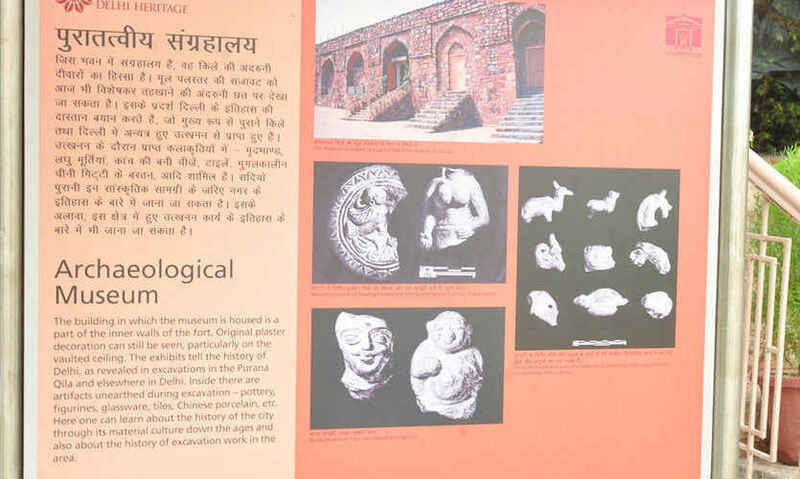 The amount of archaeological treasures unearthed in Delhi in the last few decades is colossal and of these, the one place to visit to understand the magnitude of what is long gone is the museum in Purana Qila. The Purana Qila Field Museum is not a colossal edifice like other major museums. It has a limited scope, and focuses on that entirely. The museum has an interesting setup because it’s built on the inner walls of the fort itself and the original plaster of it can still be seen on some parts of the walls and ceilings. It’s situated on the right side of the entrance where it seamlessly integrates with the rest of the wall. It tells the story of Delhi, right from the mythological era. The main excavations at Purana Qila were carried out in 1955 by the Archaeological Survey of India and another round was done in the 1970s. While the structure at present is only a medieval one, the excavations unearthed materials of awe-inspiring antiquity. This is when this museum came into existence to store and display the excavated materials. These excavated materials show evidences from the earliest settlements in the area, mostly from the Painted Grey Ware culture of around 1,000 BC. But it has also thrown up evidences of continuity as we find coins and other materials from almost every era including Maurya, Sunga, Kushana, Gupta, Rajput, Pathan and of course, the Mughal era. You can see coinage, broken pottery, clay toys and ornaments belonging to different eras as well as exhibits recovered from various other parts of Delhi. More importantly, they have all been documented very well, and so just by reading a few paragraphs on the walls of the museum you will learn more about Delhi than you ever knew - it’ll tell you the origin of the name &apos;Dilli&apos;, it will tell you where the important prehistoric sites of Delhi are and it will tell you about Indraprastha, the mythical city of Mahabharata, which is believed to be buried somewhere near the Fort. Unfortunately, the museum has a strict ‘no photography policy’. So you need to keep your cameras and mobile phones at bay. While it is tempting to take a few snaps, be respectful to the regulations and carry a notebook in case you need to collect fascinating nuggets of information. 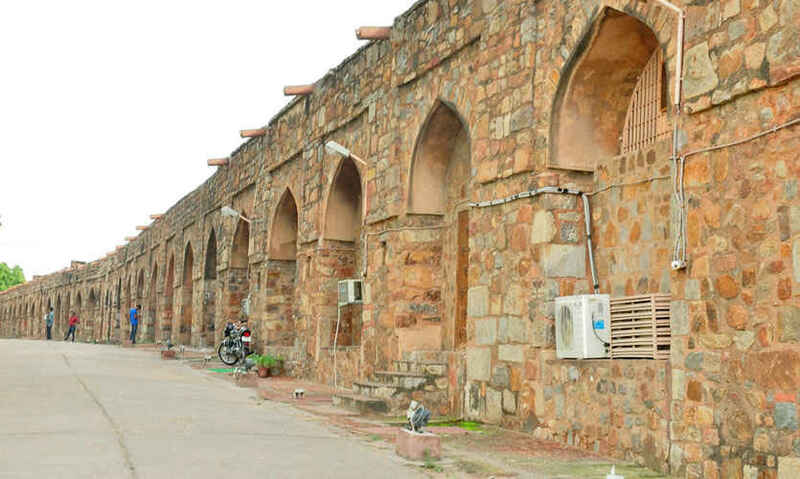 It’s a must-visit for all history enthusiasts and also for the lovers of Delhi who would like to get better acquainted with the rich heritage of the city. You need an extra ticket for the museum but you can buy it along with the entry ticket to the fort. Have a fascinating and illuminating adventure, you guys!